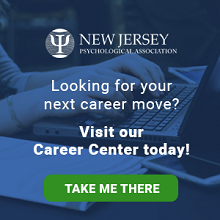 The New Jersey Psychology – Political Action Committee (“NJP-PAC”) is a voluntary, non-profit political action committee comprised of a board of trustees, consisting of New Jersey Psychological Association (“NJPA”) members/psychologists. NJP-PAC is a separate entity, and is not affiliated with any political party or other political committee. 1. NJP-PAC shall make contributions, from funds received from NJP-PAC contributors, to candidates for office and political committees in New Jersey who have demonstrated their interest in and support of psychology, without regard to party affiliation. 2. NJP-PAC shall solicit funds to be distributed in such a manner as to advance the stature of the profession of psychology in New Jersey. 3. NJP-PAC shall appoint NJPA members to attend fundraising events to represent the profession of psychology. Donors can make a one-time contribution or you can consider making a more significant pledge with the option to make flexible payments over time. PLEASE NOTE: Once you make this selection, recurring payments will be automatically deducted as designated from the credit card you utilized at the time initial payment was processed. Payments will not automatically renew at the completion of the recurring payment cycle. If you wish to donate again, it will require completing a new transaction.